Typically, nothing gets the heart fluttering like heart-shaped chocolates, romantic dates, and a bouquet of roses, but we’re a little atypical. For us, nothing compares to receiving (or creating!) a handmade card with a thoughtful message. 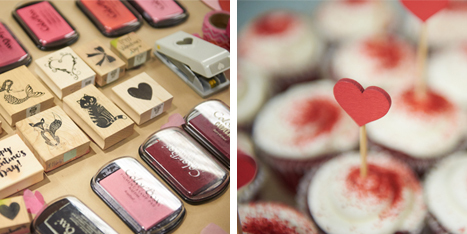 With Valentine’s Day, quickly approaching, we’re combining two of our favorite things: crafting and spreading love! The Arctic Election Results are in! It has been a snowstorm of fun, but the Arctic Election has finally reached its conclusion. 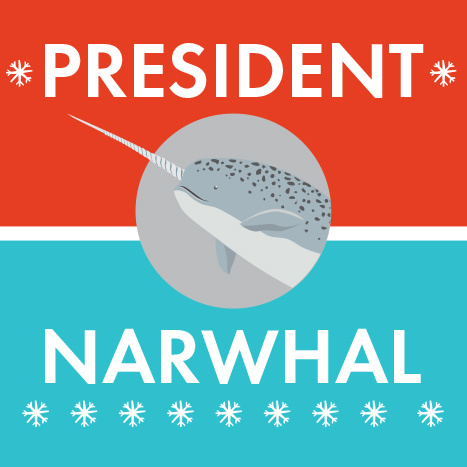 The voters have spoken, and we are excited to announce that Narwhal has won the 2016 Arctic Election! 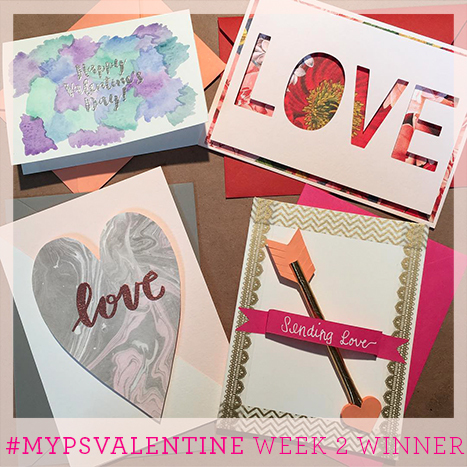 From January 19th through Valentine’s Day on February 14th Paper Source fans tagged images of how they showed their love using Paper Source products with #MyPSValentine. 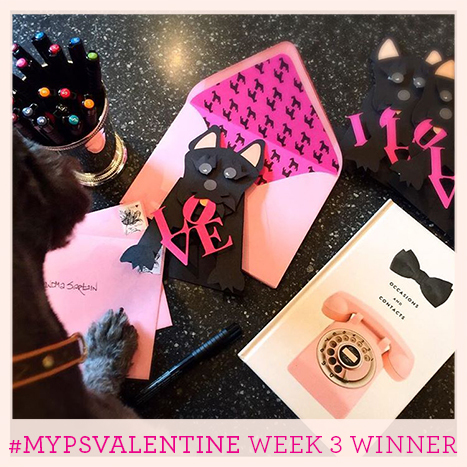 There were so many beautiful submissions, and we wanted to share the winners and our other favorites with you! 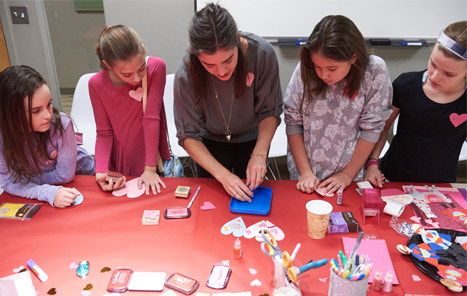 Last Thursday, Paper Source headquarters hosted a charming group of fifth grade Girl Scouts for an afternoon of crafting Valentine’s Day kits! After receiving instruction from our crafting expert on how to use some of our most popular crafting tools, the girls assembled and decorated our pre-cut kits to make some Valentines for their pal-entines. 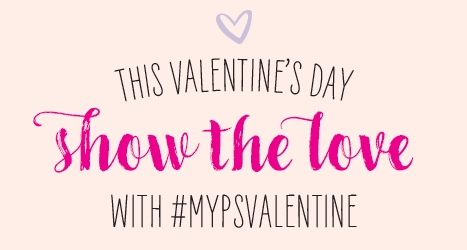 #MyPSValentine Wants You To Feel The Love! One of the best things about Valentine’s Day is that it gives us another reason to create handmade cards with thoughtful messages for the people we care about the most. 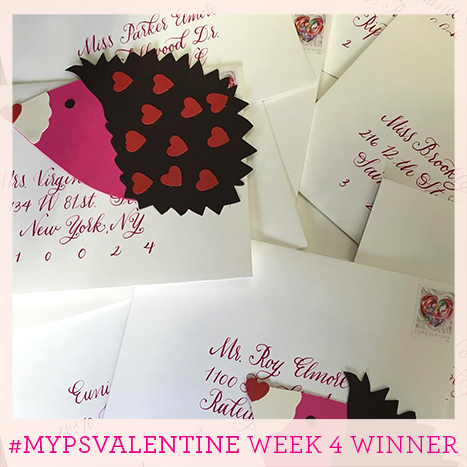 From January 19th through Valentine’s Day on February 14th, tag images of how you show your love using Paper Source products with #MyPSValentine. You’ll be entered for the chance to win a spot on our social pages as well as a hand-picked prize pack! Every week one winner will be chosen, and there is no limit to how many times you can enter! For some inspiration on how you can share a little love with those who are dear to your heart, we have a few ideas for you. We’ve been busy D.I.Y.-ing Valentines with some of our prettiest new products – pick your favorite and give it a try! For even more inspiration, visit one of our stores. 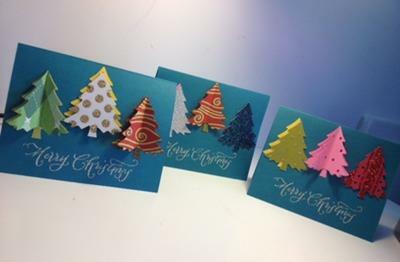 Cut a 3.75″ x 5″ panel out of Gold Glitter Wrap and mount it to a Superfine Soft White A2 folded card. Download and print the Heart of Gold PDF on Mint text paper and cut it out. 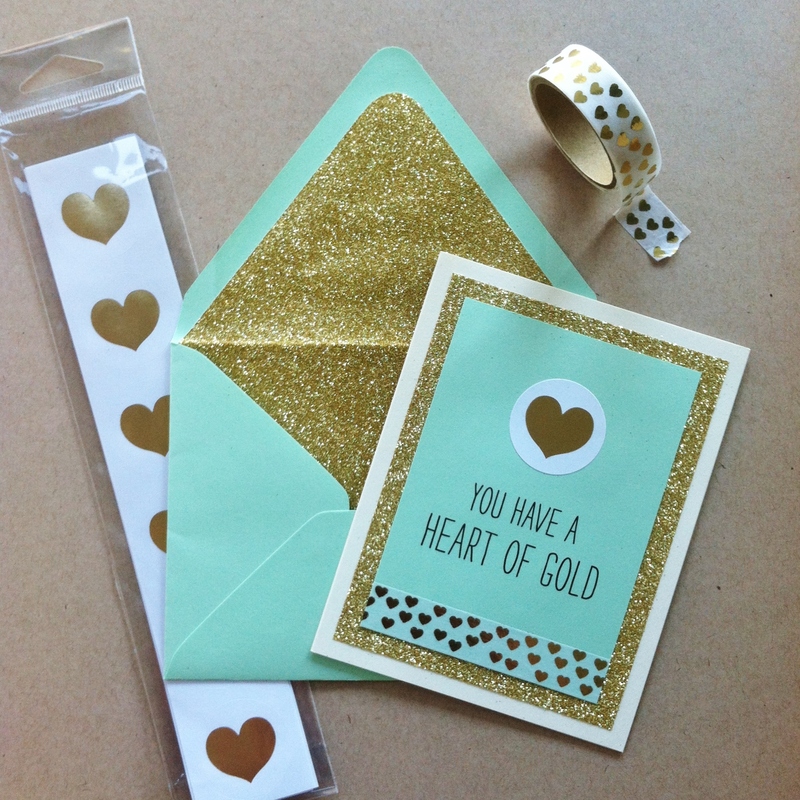 Add a Gold Foil Heart Sticker and a strip of heart tape to the Mint paper. Mount the Mint paper to the card with Super Tacky Tape. Line a Mint envelope with Gold Glitter Wrap using our Envelope Liner Templates. We had an amazing response to our annual card contests this past holiday! Customer submissions were posted to Instagram (via #PaperSourceHolidayContest), plus we also ran a holiday card contest for our store employees and we were wowed by everyone’s creativity! 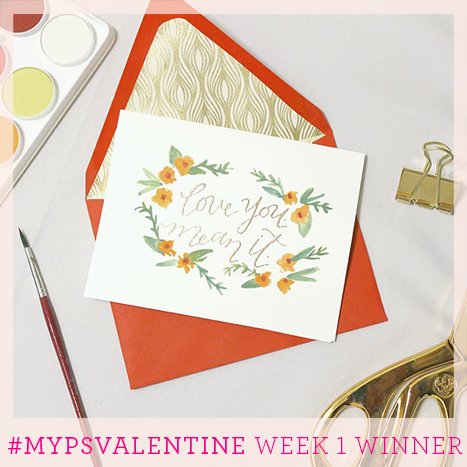 Customer Contest: Grand Prize Winner – Erin C.
We had an amazing response to our annual card contests this past h0liday! 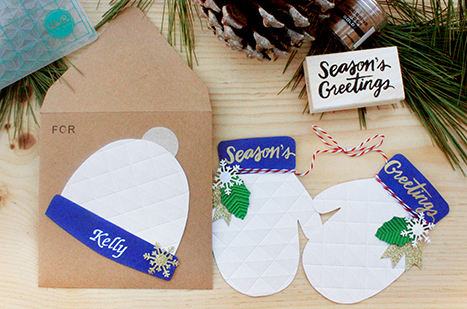 Customer submissions were posted to Instagram (via #papersourceholidaycontest) between October 15th and December 15th, plus we also ran a holiday card contest for our store employees! We were wowed by everyone’s creativity! Thank you to all who participated – you certainly made our decision difficult. Take a glimpse at the winners of both contests below. The best thing about the new school year? If you ask us, its getting your calendar! We’re going to take you through the steps of prepping your planner for the year ahead, and how you can win a $200 gift card PLUS your favorite Paper Source calendar! The moment to announce the winners of our Holiday Crafting Contest is here – thank you to everyone who participated this year! Our lucky winners will be receiving a Paper Source gift card in the mail soon!